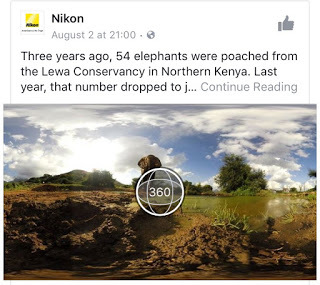 Nikon has recently posted samples from the Keymission 360 showing improved stitching. There was a video with a wind turbine, and a video with giraffes. 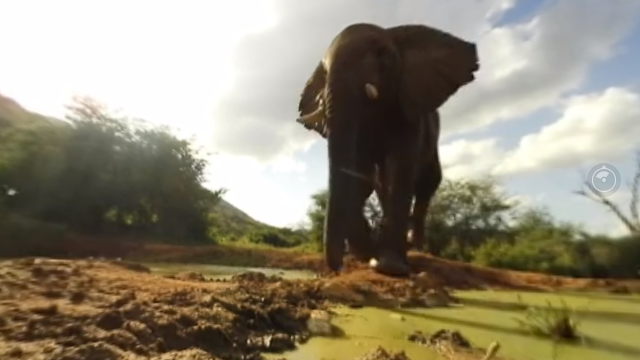 There’s another one with elephants in Kenya. This one was captured by Nikon Ambassador and National Geographic photographer Ami Vitale, who also captured the giraffe video. As with the other recent videos, it shows very good image quality and nearly flawless stitching. Here’s a link to the video on Facebook (for best results, be sure to switch to HD mode). 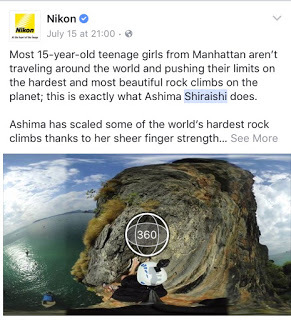 Update: another sample video featuring a rock climber. I found this one through a post on 360CamerasForums.com.